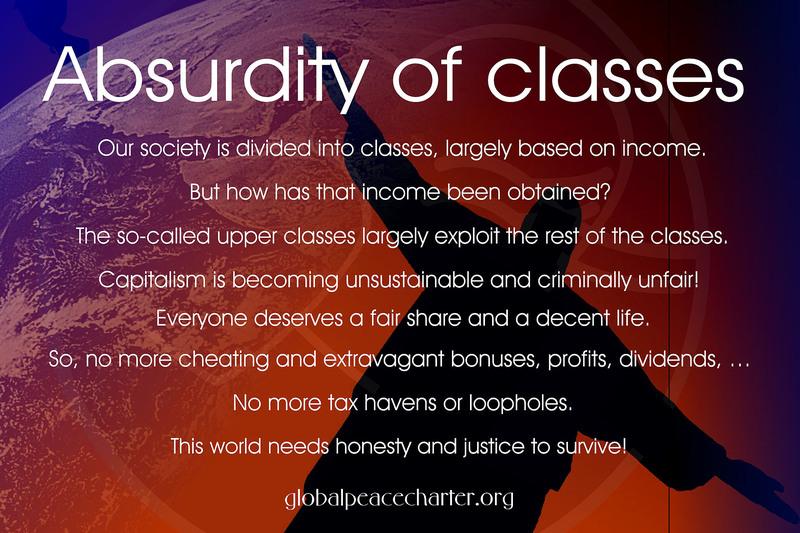 Our society is divided into classes, largely based on income. But how has that income been obtained? The so-called upper classes largely exploit the rest of the classes. Capitalism is becoming unsustainable and criminally unfair! Everyone deserves a fair share and a decent life. So, no more cheating and extravagant bonuses, profits, dividends… No more tax havens or loopholes. This world needs honesty and justice to survive!